AldenMath – Mathematical software by Tim Davis. Mathematical software by Tim Davis. Our open-source software is widely used around the world by industry, academia, and government laboratories. We also provide software consulting and development to adapt our sparse solvers to end-user applications. SuiteSparse is a collection of sparse matrix and graph algorithms. It's already in use around the world in many every-day applications, from consumer products such as smartphones, drones, and Google Maps, to MATLAB and other widely-used applications in science, math, and engineering. Sparse matrices arise from a vast domain of applications, ranging from augmented reality and computer graphics to circuit simulation and financial portfolio optimization. Each domain gives rise to unique matrix structures. Our SuiteSparse Matrix Collection is a widely used set of benchmark matrices from these domains, mirrored by Amazon.com and indexed by Thomas/Reuters. Connecting music and art via mathematics: This artwork is created by a mathematical algorithm that converts an entire piece of music from its natural domain of time and frequency into a domain of space and color, relying on Fourier transforms, graph theory, sparse matrix methods, and force-directed graph visualization, to create visual music. Our work has appeared on London billboards and is available for commission. Visit the gallery at notesartstudio.com. 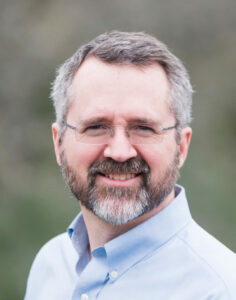 Tim Davis is a Professor in the Computer Science and Engineering Department at Texas A&M University. His primary scholarly contribution is the creation of widely-used sparse matrix algorithms and software. As an NVIDIA Academic Partner, he is creating a new suite of highly-parallel sparse direct methods that can exploit the high computational throughput of recent GPUs. He was elected in 2013 as a SIAM Fellow, in 2014 as an ACM Fellow, and in 2016 as an IEEE Fellow. He serves as an associate editor for ACM Transactions on Mathematical Software, the SIAM Journal on Scientific Computing, and the Journal of Parallel and Distributed Computing. Tim is a Master Consultant to The MathWorks, and the primary author of x=A\b in MATLAB when A is sparse.